Show Business introduces you to the members of our R&H Theatricals Staff with a Q&A. Get to know Professional Licensing Manager Michelle Yaroshko. If you could be any character from an R&H show, who would you be and why? 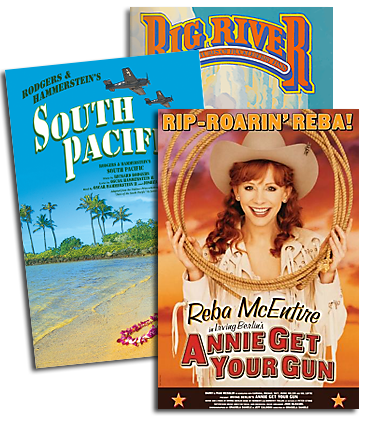 Nellie Forbush – I love the emotional path that she takes in SOUTH PACIFIC. Favorite things about working at R&H: I really enjoy working with our customers and because of them, no two days are ever the same. Something all customers should know (about you): I performed professionally for 15 years, was a choreographer and director and worked at Radio City Music Hall for 5 years as Associate Producer of the Rockettes - so I understand what our customers are managing on their end. Complete this sentence: "A day at R&H isn't complete without…" an afternoon trip to Starbucks.